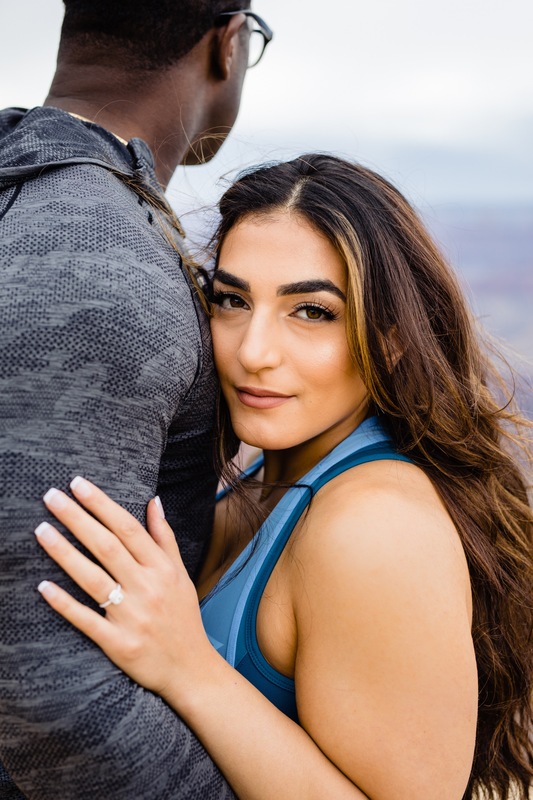 Moton surprised Rebecca when he proposed at the Grand Canyon. She said yes! Grand Canyon Engagement photo sessions are so epic! Moton, who played pro football in Canadian Football League, contacted me to document the moment he asked Rebecca to marry him. We arranged to arrive at Moran Point at the same time and I led them away from the tourists near the parking lot without Rebecca catching on. It’s always pretty special being present for such an emotional and life changing moment. After Moton dropped to one knee and asked Rebecca to marry him, we proceeded to have one of the most fun Grand canyon engagement sessions ever. We explored the point and even found some spots I’d never considered before. Congrats again Moton and Rebecca. Enjoy!